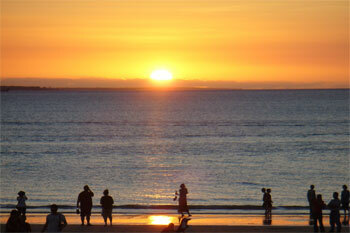 Darwin which is located at the top of Northern territory on the coast has a warm humid climate. A small city and the capital of the Northern Territory. The Northern Territory though stretches over 1813 as the crow flies 1509 km) klms from Darwin to Kulerga near the South Australia border and has two distinct climate zones: the tropical Top End, which has two seasons, and semi-arid Central Australia, which has four. • Darwin was after the devastation of Cyclone Tracy in 1974. • Darwin overlooks a wide harbour and the waterway's are named East Arm, South Arm (Port Darwin) and West Arm. • Darwin is the capital of Northern Territory. • Darwin is known as the most multicutlural city in Australia if not the world. • Darwin's 2 climtaes Dry Season is April till October and Wet Season November till April. • Darwin is made up of 2 grouped cities if you look at a certain perspective Darwin and the satellite city of Palmerston some 30klm away now day joining each other. • Easy to spot on the Stuart Highway actually opposit back of the airport but you have to go around it. • Total Distance = 9.6 kilometres Estimated Travel Time = 10 minutes. • Total Distance = 11.092 Km. Estimated Travel Time = 12 minutes. • Folks be careful photos can be decieving on any hotel in the world as we have found out - local hotels that offered good service to us personally over the years. • My personal dislike is when you can't see the front or hotel ariel drone view so try Google Maps street view and ariel view. • Now there are many new hotels in Darwin we haven't stayed in yet so we are just basing this on th ones we personally have stayed in.  Katherine town - Katherine located 332 km to the south of Darwin city straight down the Stuart Highway past Litchfield and kakadu turnoffs then past Adelaide River and Pine Creek (Historical mining Town) is soft road trip destination for an outback adventure in a large motorhome, 4wd camper or small campervan rental. Note the around Pine Creek just a bit up the Stuart Highway is the southern entrance to Kakadu (the is the Stuart Highway exit on the Arnhem Highway to Kakadu and the Pine Creek turnoff on the Stuart Highway to Kakadu Highway into Kakadu.  Katherine region - The major highlights of the region include the town of Katherine, Katherine Gorge, Cutta Cutta Caves, Edit Falls, Mataranka, Elsey National Park , Nitmiluk National Park and the Roper River Region.  Nitmiluk National Park Nitmiluk - located 356 km to the south of Darwin city Nitmiluk National Park was also before as Katherine Gorge and still referred to it as both names. 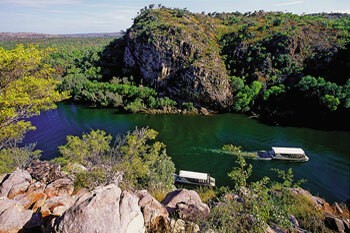 Katherine Gorge approx. 356klm south of Darwin on the Stuart Highway and passing some really interesting outback towns such as Pine Creek and Adelaide River.  Cobourg Peninsula | Garig Gunak Barlu - Gurig National Park - in Arnhem Land. Need to explore more then consider Cobourg Peninsula | Gurig National Park off Arnhemland. Garig Gunak Barlu. Top of Northern Territory (NT) and accessed through Arnhem Land. It is a remote, rugged area fringed with magnificent white beaches on the Cobourg Peninsula. 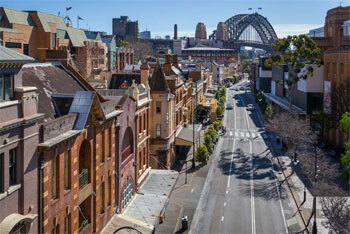  Cullen Bay - Nestled in Cullen bay lets say 2.5klm from Smith Street Mall. There are 3 car parks there and busy at lunch and evenings due to seriously delicious cuisine at Buzz cafe and a few other dining spots. The SECRET no other site seems to share is the beach on the ocean side of Cullen Bay see Tropical Darwin for some photos and more information on Cullen Bay. If your taking a extend fishing charter on a large boat or scuba trip with Sash then most likely you will depart from here as too with the ferry service to the town of Mandorah on the other side of the harbour.  Crab Claw Island - Crab Claw Island Resort Is nestled on the water’s edge, Crab Claw Island Resort is a relaxing escape from the everyday. The complex has elevated cabins connected by walkways through the trees and palm gardens, refreshing swimming pools, an elevated open restaurant with views across the harbour, boat ramp, wildlife and natural beauty galore. Crab Claw Island’s ‘Breezes’ restaurant is open for breakfast, lunch and dinner, serving a wide selection of tasty, al a carte meals. The fully licensed bar holds a selection of wines, icy cold beers and soft drinks that will quench the thirst and cleanse the pallet of any weary traveller. Crab Claw Island is situated on the south-western side of Bynoe Harbour, 130kms by road from Darwin (in a conventional or 4WD vehicle, we become an island at very high tides only),15mins by air, or two hours by quick boat. It is surrounded by 2500km2 of pristine waterways which include Bynoe Harbour, salt water estuaries and fresh water creeks and rivers.  Arnhem Land - Mysterious and beautiful, Arnhem Land is a vast area of Aboriginal owned and permit required. There's heaps to explore in West Arnhem Land including Garig Gunak Barlu National Park & Seven Spirit Bay, Injalak art centre and Davidson's Mt Borradaile safari camp. Call in to see artists at work and to buy baskets and paintings at the famous Injalak Art and Craft Centre. Join a tour led by an indigenous guide to Injalak Hill to see ancient rock art and hear Dreamtime stories, or join a bush tucker tour and learn how the indigenous people live from the land.  Batchelor town - Recognized as the gateway to Litchfield National Park , Batchelor is a fine to camp in one of the many campgrounds whilst exploring the park. We recommend don't do Litchfield in a day more like 2 to 3 days to see Wangi Falls, Buley Rockhole, newly opened Lower Cascades, Florence Falls, Tolmer Falls and not least the Magnetic Termite Mounds and also the Cathedral Termite Mounds.  Umbrawarra Gorge and Butterfly Gorge - Umbrawarra Gorge and Butterfly Gorge - A must visit to the Visitors information centre Bennett Street opposite the Smith Street Mall what we call north end is a must for access and road updates before you go.  Dundee Beach - Dundee Beach Holiday Park is perfectly positioned at Dundee Beach, Northern Territory, only 140km from Darwin on all weather sealed roads. We have access to pristine beaches and home to some of the most unspoiled fishing areas in the Top End. With a public boat ramp accessible by any car (and most tides) makes fishing in Dundee easier than ever. Dundee Beach Holiday Park is perfectly positioned at Dundee Beach, Northern Territory, only 140km from Darwin on all weather sealed roads. Dundee is a town in the Northern Territory, Australia, located approximately 125 km (78 mi) southwest of Darwin on a peninsula between the Timor Sea and Bynoe Harbour. https://www.dundeebeachholidaypark.com.au/ with powered and unpowered camping sites.  Douglas Daly region - Daly region 4wd access tracks Tjuwaliyn (known as Douglas) Hot Springs in the Daly Region NT. | How to get to Douglas Hot Springs Park. | Site accessibility: 4WD The thermal hot Springs at Tjuwaliyn (Douglas) Hot Springs is this park's biggest drawcard. You can experience a natural thermal hot Springs treatment or head up or downstream for cooler pools.  Parap - A suburb of Darwin about 5-7klm out off the Stuart Highway and also the East Point Road and home the famous Saturday morning Parap Markets. 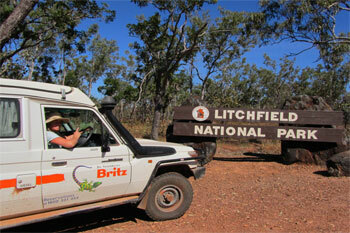 • Berry Springs Nature Park - Travel south along the Stuart Highway from Darwin. Turn right into Cox Peninsula Road. Berry Springs Nature Park is 10km along the road on the right. 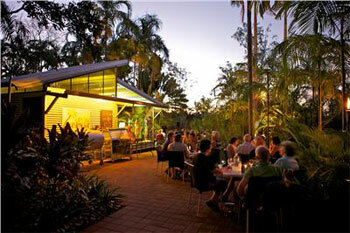 | Berry Springs is one of the most beautiful parks to cool off and relax in close to Darwin. It has great shaded picnic and barbeque areas close to clear swimming pools surrounded by trees and aquatic life. Native flowers in the park bloom from March to April. Walkers and bird watchers should take the monsoon forest and woodlands walk, through the Top End habitats. The park also has remnants of its World War II history, when more than 100,000 armed forces personnel were based in the area. • Lake Bennett and Resort - Lake Bennett is a small artificial freshwater lake located 80 km south of Darwin, Northern Territory, Australia within the Coomalie Shire. The lake is set in 4.45 square kilometres of tropical wilderness. Contact https://www.facebook.com/lakebennettpark/. • Wishing to complete your travel plan and needing to book a 4wd camper, motorhome or campervan in Darwin then Get a instant quote now as our database is easy to navigate, easy to use and safe automated online booking engine. When it comes to renting a 4wd camper, 4wd car and 4wd with camping gear in Darwin or other capital state cities then there's one brand you can truly trust.